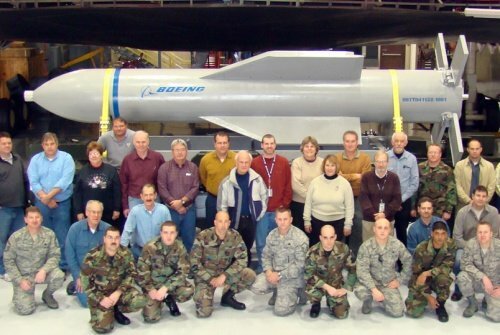 A top US Air Force general has described the biggest conventional warhead – the 30,000-pound bunker buster bomb – as “great” for a military strike on Iran. Such glib comment about a massive killing device comes in the same week that US President Barack Obama appeared to caution against “loose talk” about war in the Persian Gulf. 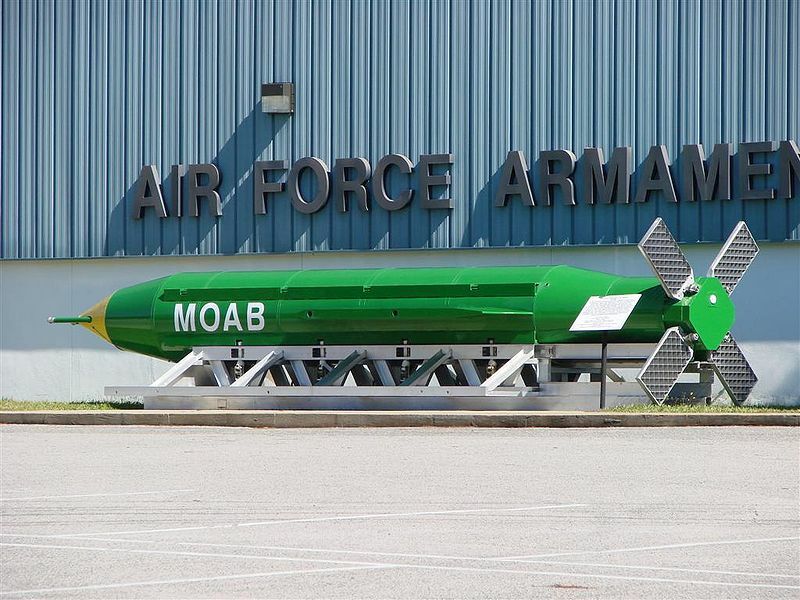 “The massive ordnance penetrator [MOP] is a great weapon,” said Lieutenant General Herbert Carlisle, the US Air Force deputy chief of staff for operations, who added that the bomb would likely be used in any attack on Iran ordered by Washington. The MOP also referred to as “The Mother of All Bombs” is designed to drill through 200 feet of reinforced concrete before detonating its massive warhead. It is believed to be the biggest conventional, non-nuclear, weapon in the American arsenal. In terms of destructive capability, it can be said to be the most fearsome explosive weapon among a range of massive-blast ordnance developed by the Pentagon over the past decade. “A 30,000-pound (13,600-kg) bunker buster bomb designed to smash through some 200 feet of concrete before exploding is a “great weapon” that could be used by U.S. forces in a clash with Iran over its nuclear program, an Air Force general said on Thursday. The Pentagon has begun working on military options if sanctions and diplomacy fail to prevent Tehran from building a nuclear weapon. The tough rhetoric from the Pentagon came despite President Barack Obama’s effort this week to tamp down “loose talk” and “bluster” about possible military action, saying there was still an opportunity for diplomacy. Carlisle also told the Credit Suisse-McAleese defense conference that a conflict with Syria or Iran could see U.S. military operations influenced by new tactical thinking at the Pentagon known as Air-Sea Battle. That approach aims to take advantage of highly networked and integrated U.S. forces. Carlisle said the tactics focus on operating in multiple domains, from air and sea to space and cyberspace, while networking and integrating information from the different areas, like satellites and sensors on stealth fighters and unmanned aircraft. “There’s a space capability, there’s a cyber capability, there’s fifth-generation, low-signature force capability,” he said. “All those things are on the table and being thought about as we do this operational planning,” Carlisle added, noting that Syria and Iran have developed significant defenses aimed at keeping potential attackers at a distance, a strategy Air-Sea Battle was designed to circumvent.